The Fundraising Committee (FC) is in place to support and enhance the learning environment of the school and ensure student success. The school and parents work in partnership to identify priorities and put an action plan in place. 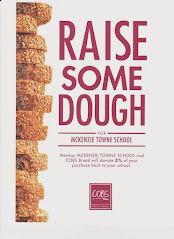 The fundraising committee is in need of volunteers to help plan and execute a variety of fundraising activities for McKenzie Towne School. The committee is meeting Tuesday night at 7 pm at the school. Anyone interested in helping is welcome to attend.